Thank you so much for your comment Christopher. Sincere thanks Mariola for featuring "Sunkissed Sunflower" in your grou 500 Views-1 Image a Day. 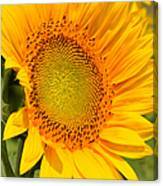 Thank you Beth for featuring "Sunkissed Sunflower" in your 500 Views Share Group. Thanks very much Lexa for your kind compliment. Lovely capture. Very nice detail. Thanks Priscilla - appreciate your comment. Back to visit this lovely flower! Thank you Amy for revisiting - sincerely appreciated. 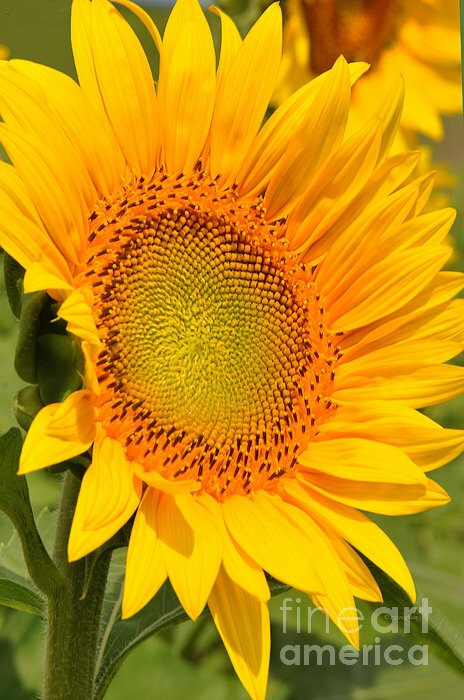 Thank you Stefano for featuring "Sunkissed Sunflower" in your group 10 Plus. Beautiful and bright! Great capture! Sincere thanks for you kind comment Diana. Thanks so very much Lisa for your kind L/F/G support. Sunkissed Sunflower by Regina Geoghan. 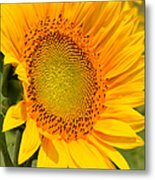 A closeup portrait photograph of a golden yellow sunflower, isolated from a field of thousands of flowers, taken in New Jersey's Sussex County.